India's total forest and tree cover has increased by 5,081 sq km in the past two years, states a report by the latest Indian State of Forest Report (ISFR 2015). The report was released by the Forest Survey of India (FSI) on 4 December by the Union minister of environment, forests and climate change, Prakash Javadekar. It also signals that India now has no more than nine contiguous uninterrupted forest patches measuring over 10,000 hectares. 1) The forest cover increased by 3,775 square km. With this the total forest cover has gone upto to 7,01,673 sq. km, or 70.17 million hectares. This is equivalent to 21.34% of the country's geographical area. 2) The tree cover has gone up by 1,306 square km. 3) In the very dense forest category, the thickest and oldest of forest patches, an increase of 2,402 sq. km was offset by a shrinking of 3,371 sq. km in moderately dense forest areas. 4) The mangrove cover in the country increased by 112 sq. km. 5) The total carbon stock in the country's increased by 103 million tonnes taking it to 7,044 million tones. This is an increase of 1.48 in percentage terms over the previous assessments. Alarm bells for northeastern states? There were worrying signs for the northeastern states, an area that accounts for one-fourth of the country's forest cover. The report noted that "there is a net decline of 628 sq. km in forest cover as compared to the previous assessment." Similar trends were observed in the 2013 forest report, where both the northeastern states and the moderately dense forest areas recorded a decline in cover. 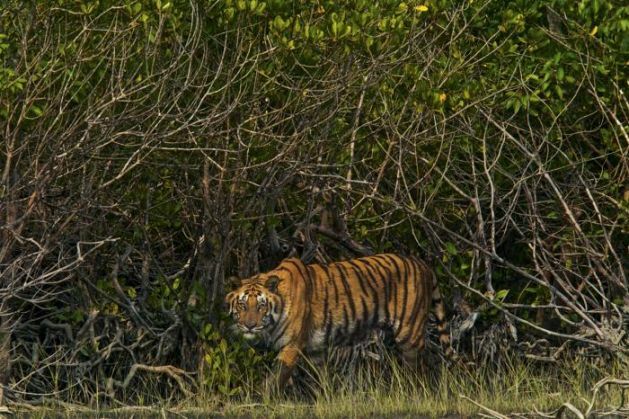 Assessments of the status in tiger reserves, disclosed for the first time, showed that while forest cover in core and buffer areas of Corbett National Park increased in 1990-2000, it decreased in 2000-10 due to flooding of rivers and rotational felling. In Dudhwa Tiger Reserve, there is a positive change in the forest cover, while in Valmiki Tiger Reserve, there has been a decrease of forest cover and carbon stock. The FSI officials say Kumar said the increased forest cover and carbon stock was an indicator that India is well equipped to meet targets enunciated in the Intended Nationally Determined Contributions (INDCs) aimed at limiting climate change. Environment minister Prakash Javadekar said the forest report was a great indicator to the world at the time of the global climate meet Paris that India is increasing its forest cover even as global warming challenges loom large. READ NEXT >> Bigg Boss Nau: Is Salman Khan's Sultan responsible for the shocking changes in the show?